NOFX frontman Fat Mike in performance in Billings April 23. Whether or not they agreed, Teenage Bottlerocket, the opening band, was pleased just to share the stage with punk rock icons. “It’s a dream to be on tour with NOFX,” said frontman Kody Templeman. 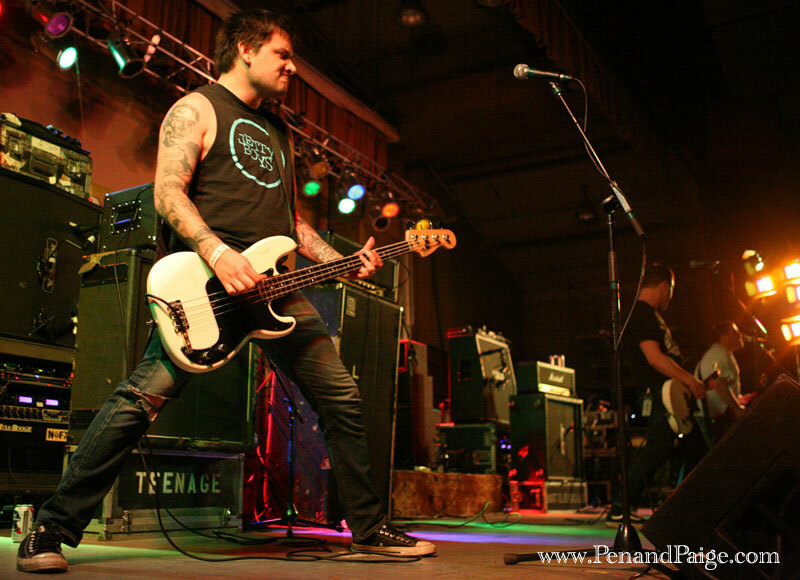 Teenage Bottlerocket bassist Miguel Chen and band in performance as the opening act for NOFX in Billings on April 23. The band, a Wyoming punk act with a lengthy history in the pop punk scene (Templeman is of the Newcastle, Wyo. band the Lillingtons, circa 1995, and twin brothers Ray and Brandon Carlisle fronted the Laramie, Wyo. band Homeless Wonders before forming Teenage Bottlerocket in 2001). The band signed to west coast punk rock label Fat Wreck Chords last year, and was subsequently asked to perform with NOFX, opening for the band on their most recent tour. Notoriously snarky and unabashedly crass, NOFX prodded the audience, making cliché half-breed jokes and defined Montana and its residents as “corn-fed hicks.” Yet, people loved them for it. The fans screamed out requests, moshed all night, and drank in the salty lyrics as if it were the overpriced beer the Shriners were hocking (which they had no trouble selling). 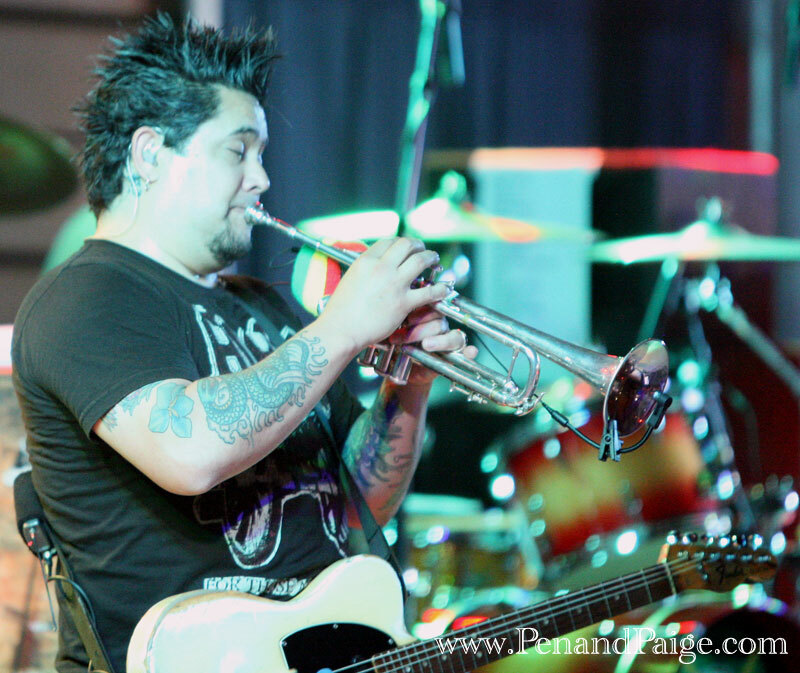 NOFX guitarist and occasional trumpeter El Hefe. 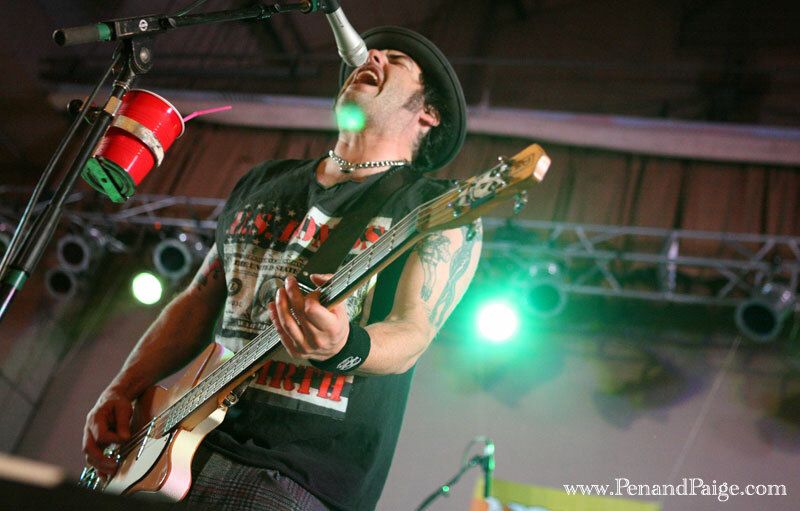 With each familiar song, Fat Mike’s growl brought with it a slew of 90s memorabilia. Yet, the band that was so relevant when punk rock was rising somehow didn’t retain their relevance. Their race jokes seemed childish, their “black house” reference inappropriate, and though their songs are so achingly familiar, the stage banter took away most of the joy of hearing these old favorites. NOFX closed the show by saying, “We’ll see you all when you move to a bigger city,” and as they always do, didn’t return for an encore.